BOAO, Hainan, March 29 (Xinhua) -- The Boao Forum for Asia (BFA) annual conference concluded Friday in southern China's island province of Hainan, with consensus on regional and global cooperation reached. 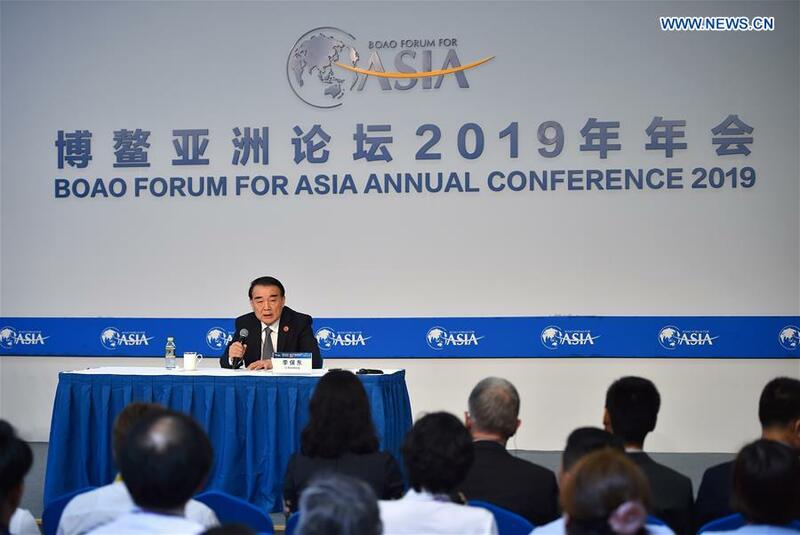 "The firm support for multilateralism and globalization is the most important outcome and the most encouraging message from this year's forum," said Li Baodong, BFA Secretary General at the closing press conference. "What we heard most is the hope to protect multilateralism and lead a path of common development. Consensus has been reached that Asia is an important engine for the global economy," he added. A cooperation document was signed between the Department of Economic and Social Affairs of the United Nations (UN) and BFA. "The signing of the cooperation document will push forward cooperation on sustainable development in the region and boost the UN's efforts on sustainable development," Li said. The BFA annual conference this year took place from March 26 to 29 in Boao, a coastal town in Hainan, with the theme "Shared Future, Concerted Action, Common Development."